New Book- Miss Jessie’s: Creating a Successful Business from Scratch, Naturally. So you want to be an entrepreneur? Starting a business is one of the most exhilarating yet hardest things to do. You are basically stepping out on faith taking your dream and trying to turn it into reality! We can all be entrepreneurs, but it’s always great to get some tips from people who have done it successfully. I have admired the Branch sisters from Miss Jessie’s for years and I love them and their MJ crew. They were the first brand that embraced me and one of the first brands I tried. I will never forget when I first went natural when I was in college, my mom said “You have a package coming. I saw this brand in the back of Essence Magazine and ordered you some products for your hair”. The products that popped up at my dorm were Miss Jessie’s. I tried it and it instantly became of my favorites. One of my first videos was using Miss Jessie;s.
I then followed the brand’s every move to see what new products they had coming out, I worked as a hair model for them when they came to Atlanta, and I got to know their team. I even went to their Soho salon grand opening years ago! I truly admire them and their business. Well I am happy to say that they have a book. Their book is the real deal on how they got started , their background, & how they became successful doing something they are genuinely passionate about. It’s always better to make money with something you genuinely love and these ladies have proven that! 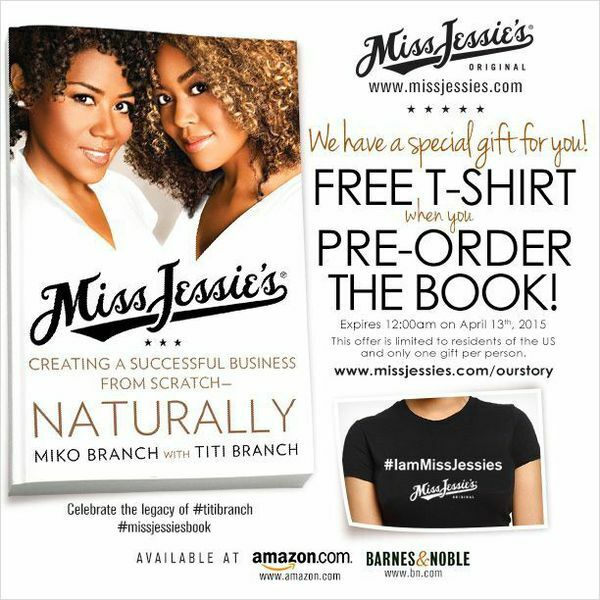 You can head to MissJessies.com/OurStory to pre-order your book! P.S. You get a free t-shirt when you pre-order by April 13th. 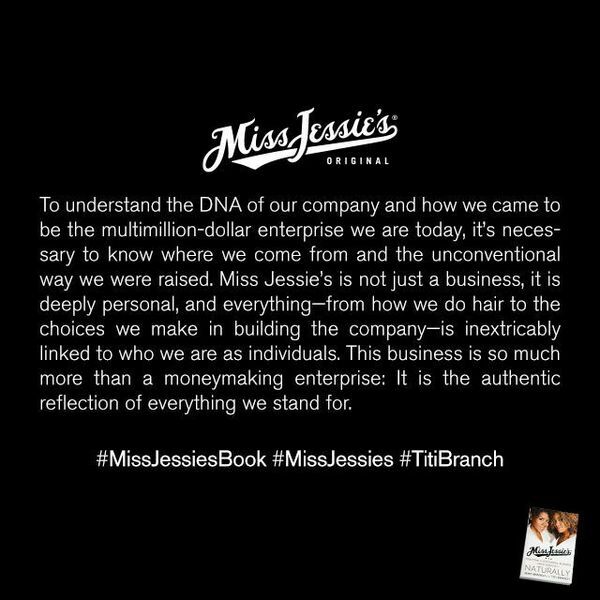 Posted on March 13, 2015 | 1comment on New Book- Miss Jessie’s: Creating a Successful Business from Scratch, Naturally.